I bet that goes for a small fortune if it hits eBay! Were one of the items the spinny keyring? Maybe I should take mine off my keyring and stop using it. Can you post some pictures? Curious what it's like, just paper sleeves? Thanks. Still haven't found the time to make some decent pictures. But the ones on Discogs are quite clear. 25 years of later with Jools Holland booklet (thanks Dave!) gold FF logo key ring from a mate & an Arsenal Shifty pick thanks to Tarquin! Heck, if I would've known they were that in demand I would've gotten you one. 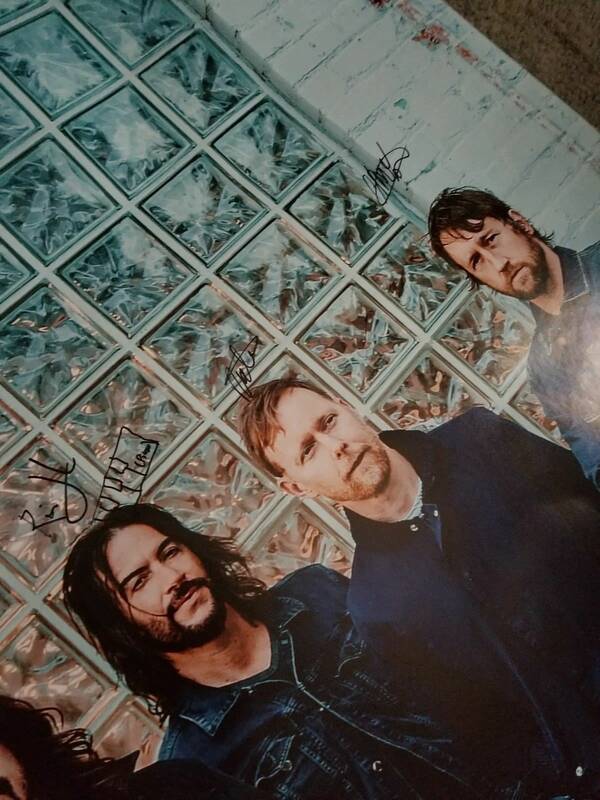 They're selling them at the merch table at the US shows. 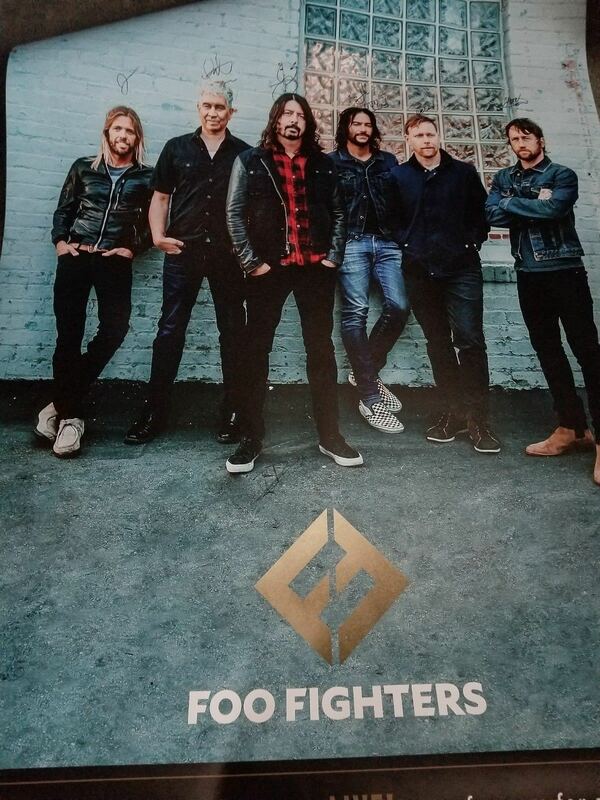 I have followed this up with Live Nation who are the company who supply us with the Foo Fighters merchandise. I'm really sorry to now have to give more unwelcome news but the Prague Lithograph has become out of stock & will not be replaced now. The Spinner Keychain also has encountered problems with re-order. So maybe at some point they will reappear on the store but not for a while. I got a nice shiny gold key ring too! Originally sold by a lady whose family lost everything in the Houston Hurricane. She was/is friends with Dave's mother. 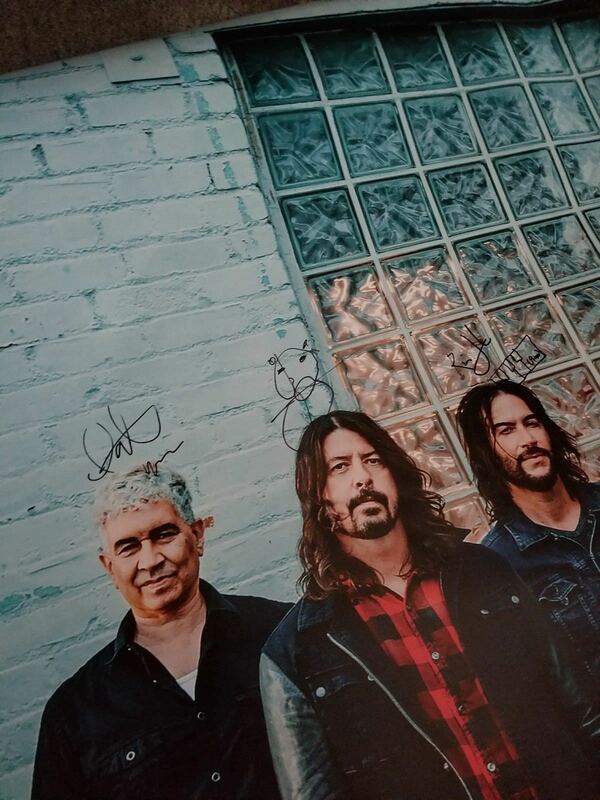 Seems there was a whip round and in usual Grohl fashion this was donated to help raise funds. 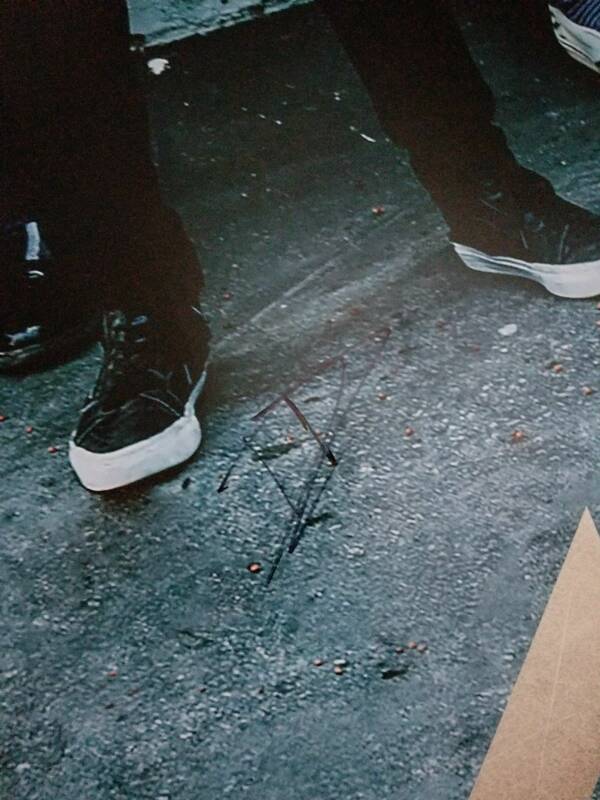 Must be a Sony "special" job as it's massive - at least a 60 x 40 inch poster maybe 72 (you can tell by the size of the sigs in the full image). Dave and Rami have also doodled - Dave's was "an alien". Then resold by the first buyer for the same price (to help fund another project), followed by a bunch of awesome background detail and conversation. And my first full set of all six (new) band sigs in one place! Very nice! Going up in the wall? 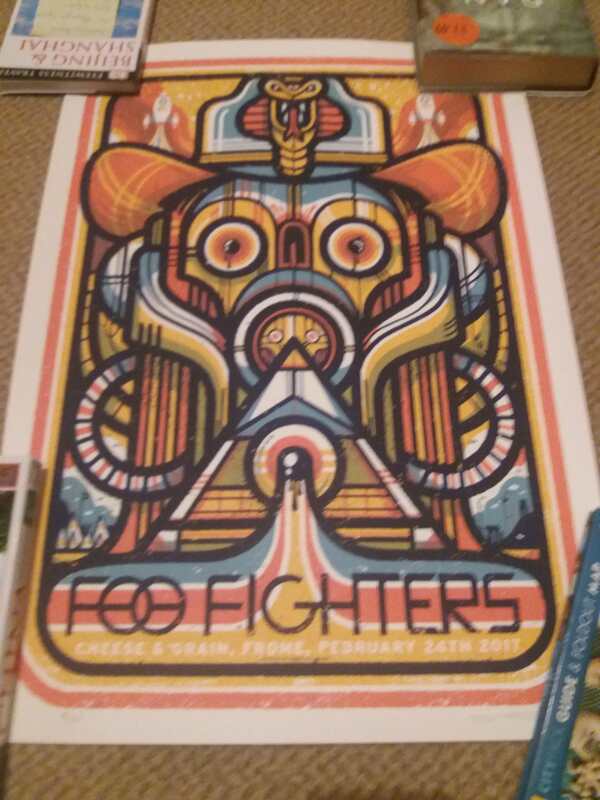 Loving the signed poster FZ! 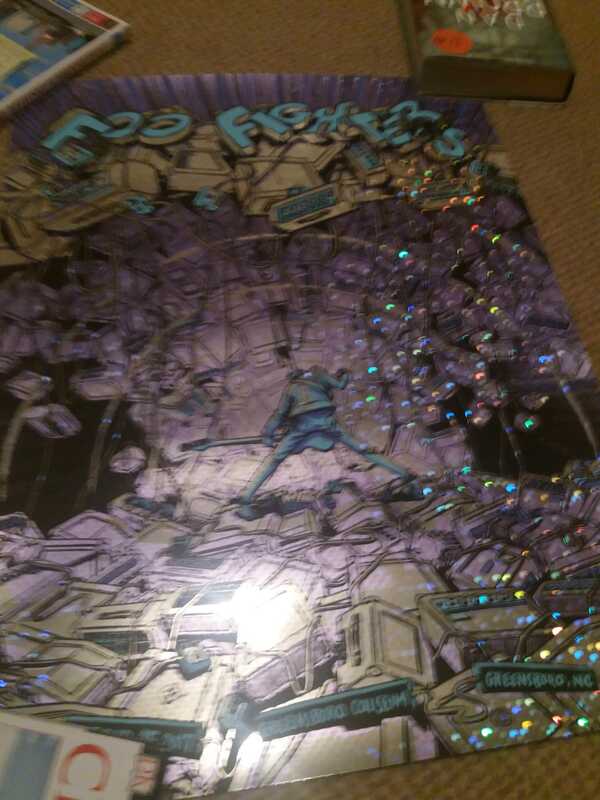 I had a mini eBay spurge this week, won a red Foo Christmas jumper and got an MK 2011 poster on a best offer. 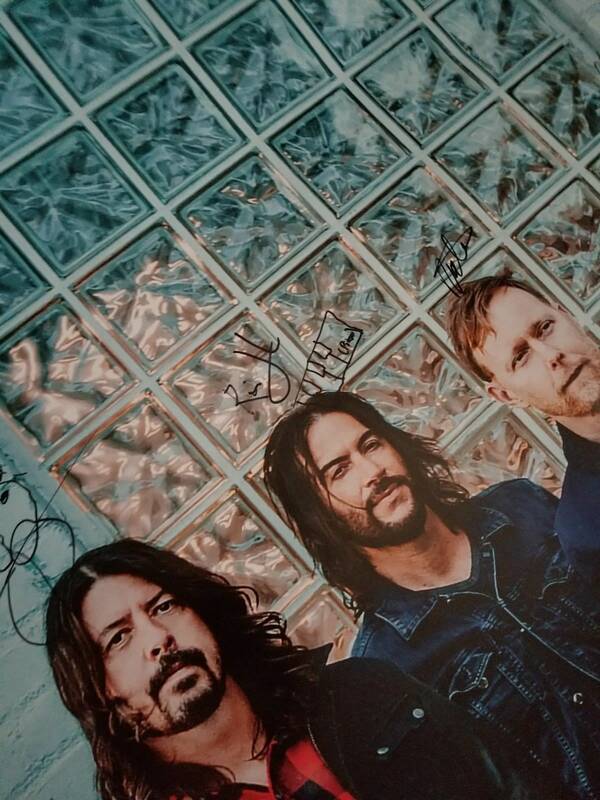 I have beenan autograph collector for years and own and have sold several Foo signed items. These are fake, sad to say. Factors like, pressure, slant and the size almost being the same for every signature these appear to be all written by the same hand. It burns me to see so many forgeries being sold. Most of them almost always come with some sort of story to back them up. Lots of autos that are sold in charity auctions are even fake unless they are donated by the artist. 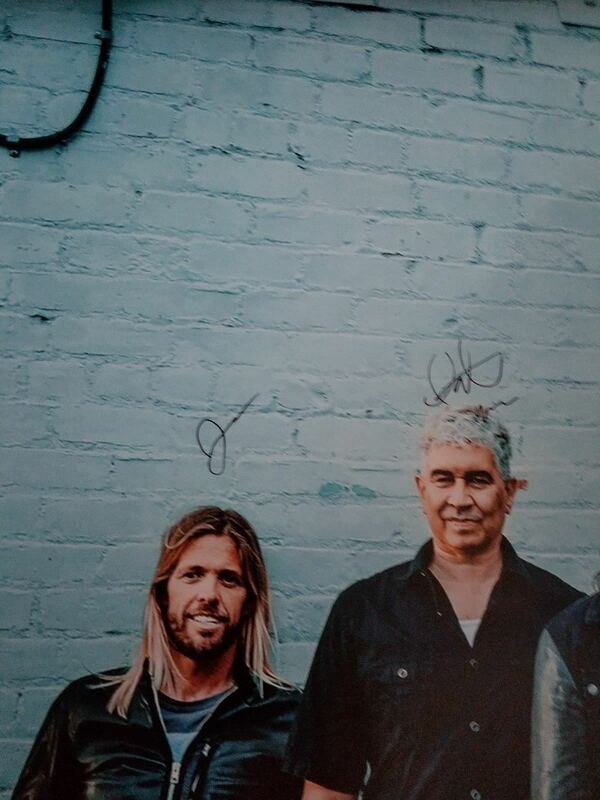 Here is a link to the way Foo are currently signing for comparison. If anyone wants to post a pic of their auto and want my opinion I would be happy to help. Last edited by donnyz30 : November 26th 2017 at 11:52 PM. 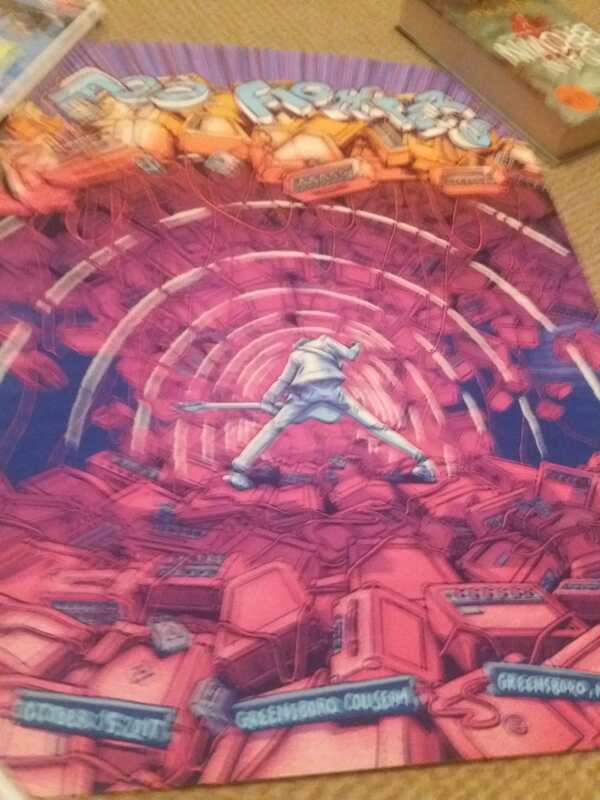 T. Stout Nashville poster arrived.